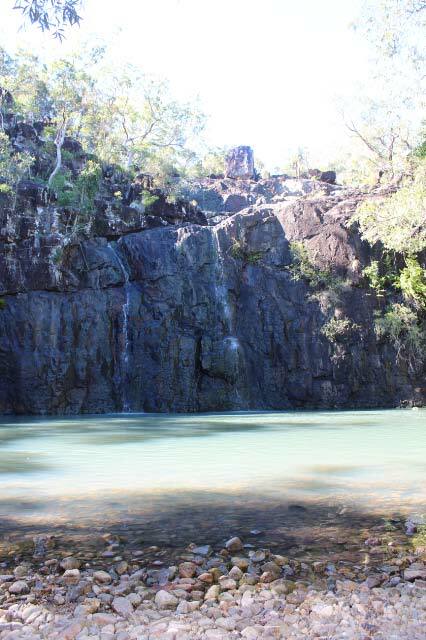 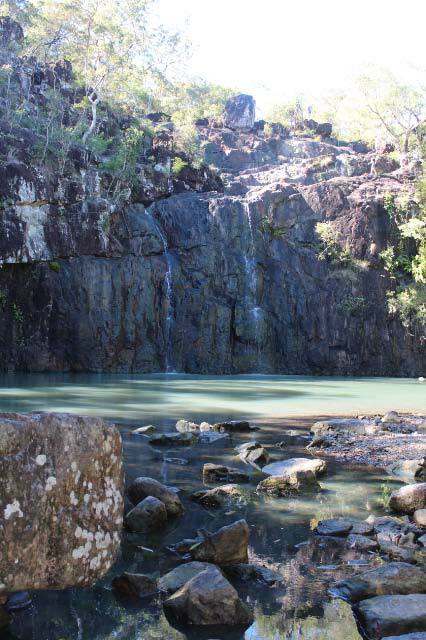 If you are ever in the Whitsundays and fancy and morning or afternoon drive then Cedar Creek Falls is the perfect place to visit. 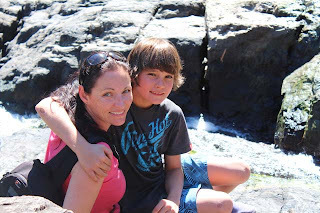 We drove the short distance (maybe half and hour) to the falls from our caravan park in Airlie Beach and we were not disappointed. It hadn't rained in a while so the falls were not as heavy as if it had been raining but they were still beautiful. 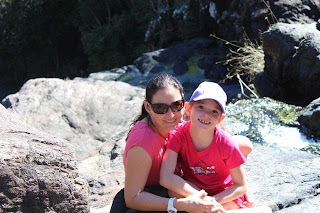 We parked in the car park and walked to few hundred metres to the falls. 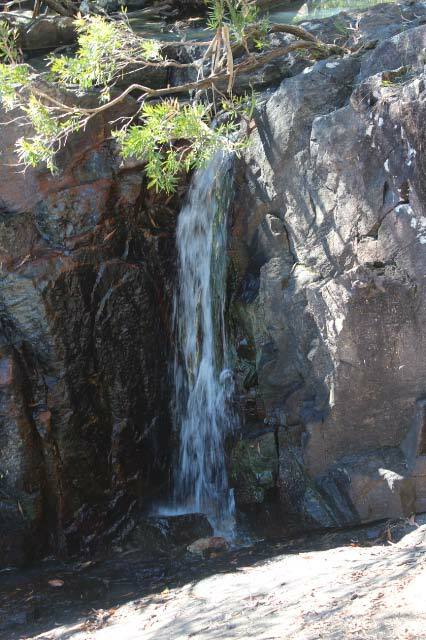 Then we headed up a steep incline to the top of the falls for a different perspecitve. 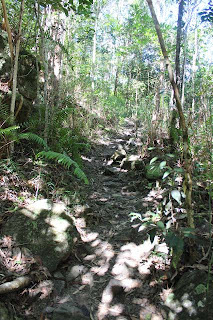 The track looked like this but got much steeper, I had to put my camera away. The view from the top was gorgeous with some more small falls flowing (in the pictures above). 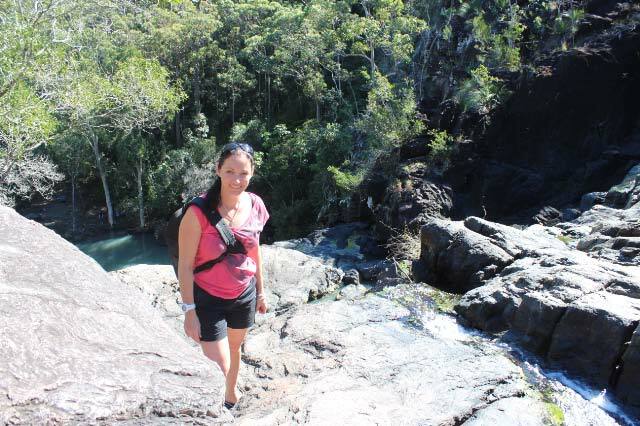 If you don't like heights though I wouldn't recommend going up there, I was holding on pretty tight. When we got back down the kids wanted to swim but being June it was too cold. Anthony did tell Nathan he would pay him $5 if he did the swim to the fall so of course he did! 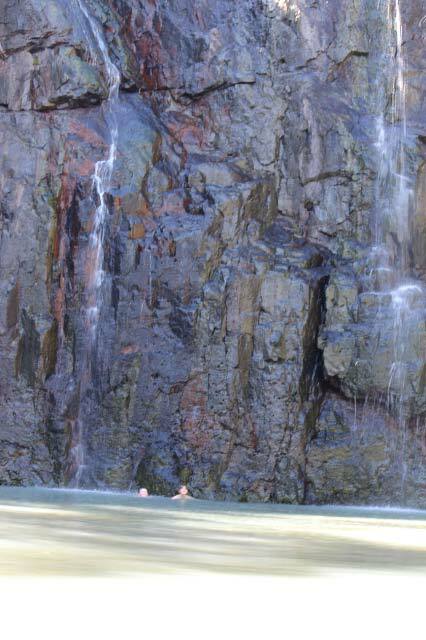 You can see his little head against the cliff. 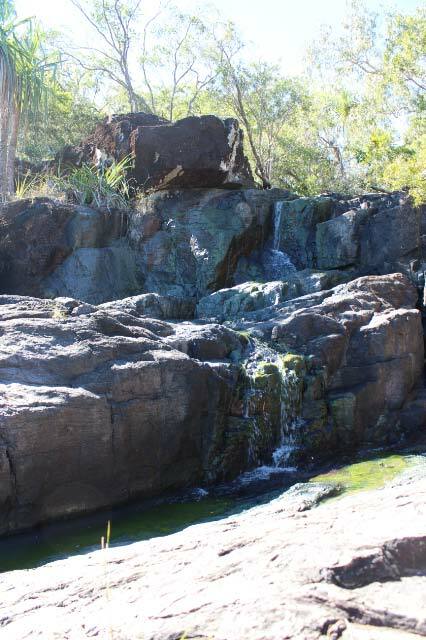 Lots of reviews I read before visiting here said to pack a picnic lunch and enjoy it but I don't think I would, there were no tables etc to sit at and the ground was uneven and rocky so not really good picnic conditions. 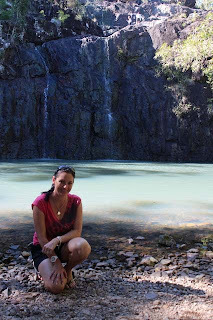 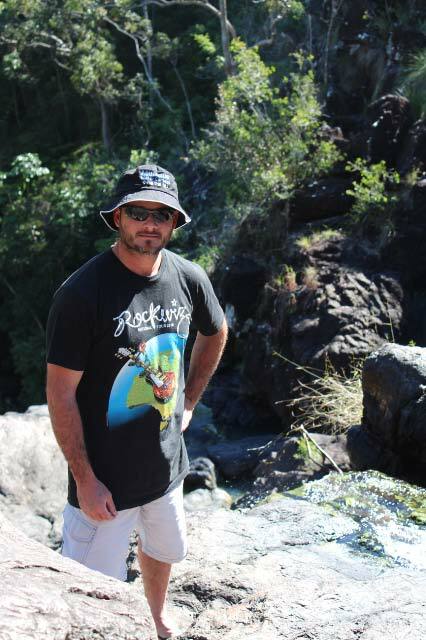 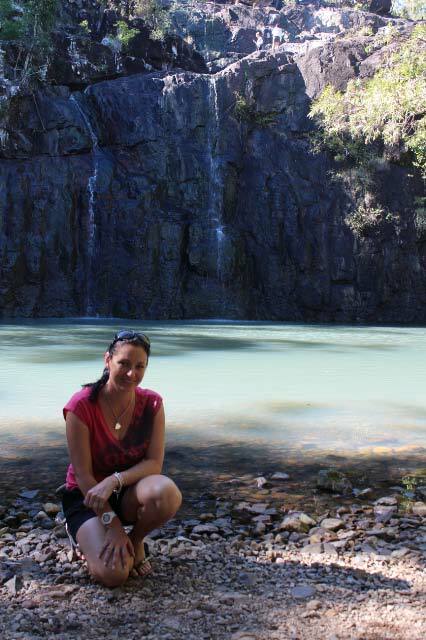 I would definitely recommend a trip to the falls though, they were beautiful, in between Airlie Beach and Proserpine.